We’re less than 24 hours away from The Game. It will be a noon start tomorrow, which is the way it should be, because it’s the way it has always been. 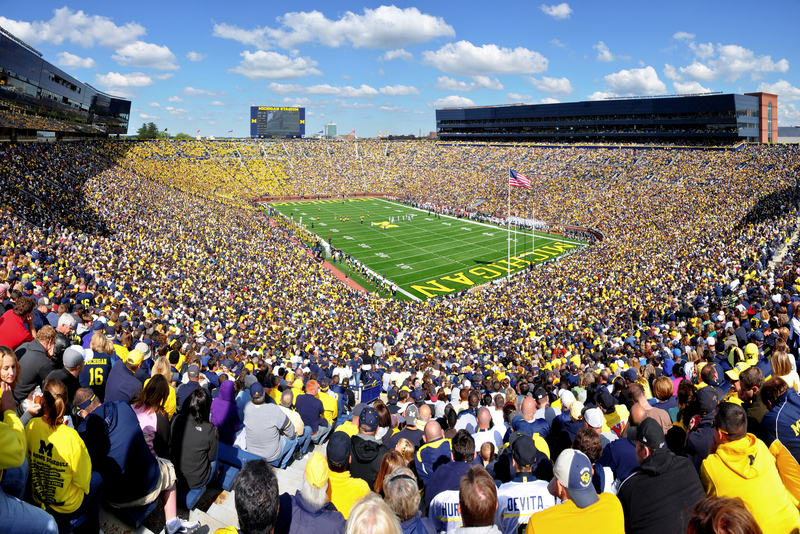 The Game will be at the Big House in Ann Arbor. Like the Horseshoe in Columbus, Michigan Stadium is one of college football’s most fabled venues, a huge, cavernous bowl dug out of the ground. It’s where Woody Hayes and Bo Schembechler prowled the sidelines during the 10-Year War. It’s where the Buckeyes tore down the “M Club” banner in the early ’70s, sending the Michigan radio announcer into a frenzy. The field is thick with memories and legends. Tomorrow the members of Buckeye Nation will try to fill a significant part of that colossal edifice, cheering on the Men of the Scarlet and Gray. Michigan fans have experienced a tough and disappointing season, and many of them have put their tickets up for sale. Ohio State fans have been very willing buyers. What will happen? The Wolverines have struggled this year, while the Buckeyes have won every game. The statistics and records will tell you that Ohio State clearly has the better team and should win the game . . . but in The Game, records and statistics often don’t matter. Fans of both teams who have watched The Game will remember surprising triumphs and devastating losses. The shocks and upsets are what have made The Game the greatest rivalry game in college football. Casual fans can be overconfident, but I don’t know of any true member of Buckeye Nation who is expecting an easy game tomorrow. We know that it will be a tough, brutal battle, filled with bone-jarring hits and hard runs to pick up crucial first downs, and we’re starting to feel that surge of adrenalin as The Game draws nearer. This entry was posted in sports and tagged Big Ten football, Bo Schembechler, Buckeye football, Buckeye Nation, Michigan Wolverines, Ohio State, sports, The Game, Woody Hayes by webnerbob. Bookmark the permalink. pls save the water for analysis.